Visiting another country can reward you in many ways, but you will also encounter issues you would not face at home. Here are some points to consider as you think about traveling abroad. There is something special about standing where history happened. Whether you want to take a photo from Catherine the Great’s doorstep at St. Petersburg’s Winter Palace or walk along the Great Wall of China, there is an unmistakable thrill that comes from being where history was made. Some travelers want to immerse themselves in another culture, trying everything from local foods to traditional sports. If you would like to travel like a local, choose a “home base” and rent an apartment or cottage where you can buy groceries, take walks, experience festivals and hang out with the neighborhood denizens. You will come away feeling you have really learned about your chosen city or region. For some vacationers, it’s all about the food. You might want to taste all the dishes you have seen on an episode of “Bizarre Foods with Andrew Zimmern” or learn how to make veal marsala. If culinary adventures appeal to you, consider combining your trip abroad with cooking lessons or a wine tasting tour. Travel can be challenging if you are unfamiliar with the language, customs and cuisine of your destination country. For some travelers, that’s part of the fun. When you unscramble the dinner menu or finally board the right bus, you will feel an adrenaline rush and a sense of pride. 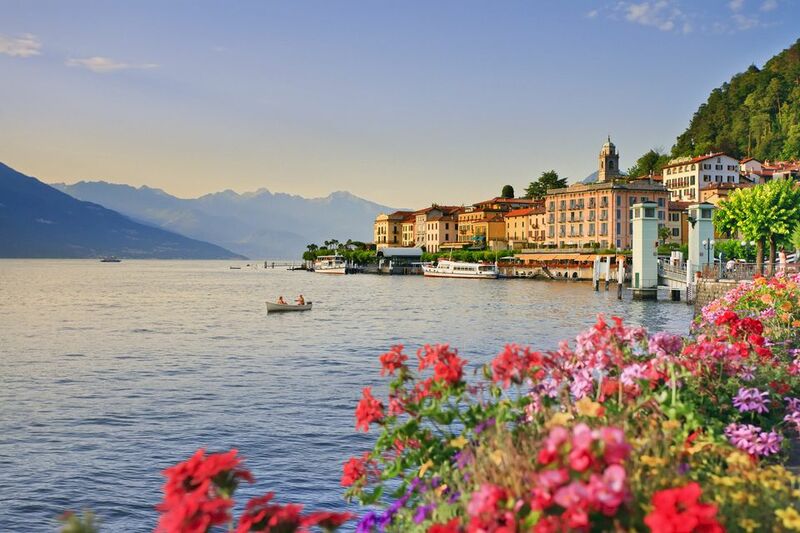 Perhaps your grandfather told you stories about Lake Como or played Hawaiian traditional music for you, and those experiences inspired you to consider traveling abroad. If you can supply an answer to “I’ve always wanted to visit (blank) because..." in five seconds or less, consider crossing a border or two during your next trip. According to the American Society on Aging, your brain continues to make new cells and establish nerve connections throughout life. For this to happen, you must exercise your brain. Combining travel with learning experiences can keep your brain as healthy as the rest of your body. Some travelers like to make lists of related destinations – such as the New 7 Wonders Of the World – and visit each place on their list. If you are looking for a worldwide travel project and climbing the Seven Summits isn’t your thing, a visit to each of the New 7 Wonders of the World could be just the project you’re looking for. Many travelers decide to visit their ancestors’ homeland on their first trip abroad. Genealogy is an extremely popular hobby, and there is nothing quite like doing your research on-scene. You might see the buildings your ancestors lived in or meet a distant cousin. Finding new information about your ancestors and immersing yourself in their culture will add new dimensions to your family history research. What Problems Could I Encounter While Traveling Abroad? Learning a few words in another language can be a daunting experience. If language barriers bother you, but you would still like to visit another country, consider traveling with a tour group. Transportation costs add up quickly. If you want to travel to another country, you may discover that transportation costs use up a large portion of your budget. Save money by booking a tour or cruise through a travel agent who has access to promotions and discounts. Some destinations are not wheelchair-friendly. Elevators are narrow, important places do not have elevators or wheelchair ramps and curbs lack cuts. Subway travel might prove difficult – long staircases are a hallmark of subway stations – so you will need to check on elevator availability and learn how to request assistance before you travel. Check with a travel agent who specializes in accessible travel to find the best destinations for persons with your particular disability. If you like to eat certain types of food – meat and potatoes, for example – expect to pay a premium for the meals you prefer when you travel abroad. Dietary restrictions and food allergies may present special problems. Wherever you travel, bring along a menu translation card or dictionary so you can discuss dining options with the wait staff. While you can avoid most travel-related crimes by wearing a money belt, securing your valuables in hotel safes and staying away from high-crime areas, safety is still an important concern. You will need to identify safe places to stay and learn how to avoid scams and pickpockets. If you are traveling on the spur of the moment, you might not have time to get a passport. As soon as you think you might want to travel abroad, find out how to apply for a passport and start the application process. How Can I Minimize Problems and Still Travel Abroad? If you do not want to plan every detail of your trip, consider an escorted tour or international cruise. An independent tour, where the tour operator handles travel logistics but does not hold you to a set itinerary, might help you deal with details while giving you more schedule flexibility. Traveling with an experienced companion could be a cost-conscious way to see the world with a readily-available helper.